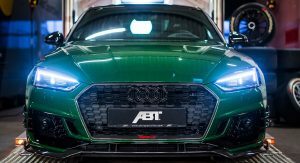 ABT has announced its presence at the 2018 Geneva Motor Show with a tuned Audi RS5 Coupe, which is limited to only 50 units. 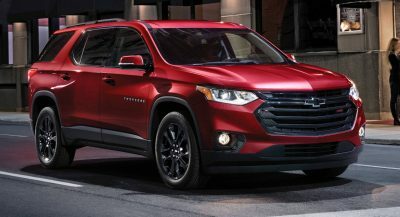 The premium compact car’s 2.9-liter biturbo V6 engine has received a few upgrades that allow it to produce 530PS (523hp) and 690Nm (509lb-ft) of torque. 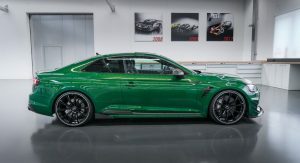 That’s 80PS (79hp) and 90Nm (66lb-ft) of torque more than the stock model, enough for this Audi RS5 Coupe to complete the 0 to 100km/h (62mph) acceleration in 3.6 seconds, an 0.3sec improvement. 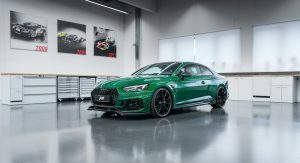 The new ABT RS5-R also features an upgraded suspension with sport stabilizers and height adjustable springs, with the tuner claiming that a special coilover suspension is under development in collaboration with KW. 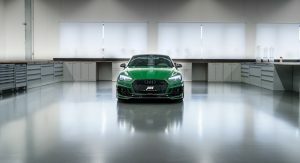 Its head-turning ability has been enhanced by the special green shade, tweaked grille, front apron, side skirt add-ons, wheel arch vents, decklid spoiler, and rear diffuser with incorporated quad exhaust pipes. 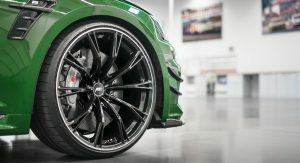 The 21-inch wheels replace the standard 19-inch ones, and are wrapped in 275/25 tires. 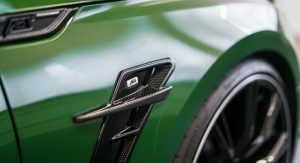 At the time of writing, ABT hasn’t released any images with the interior, but states that the partial leather seats, with the RS5-R logo, ABT gear shift cover made from carbon fiber, ‘1 of 50’ plaque, and other extras, complete the package. 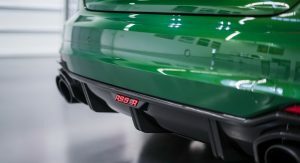 As previously mentioned, the ABT RS5-R will be shown to the public in Geneva, which starts on March 6 for the international media, and two days later for the public. Wow that looks amazing. Love that green. 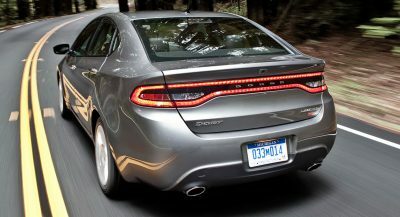 Damn, that looks pretty sick. 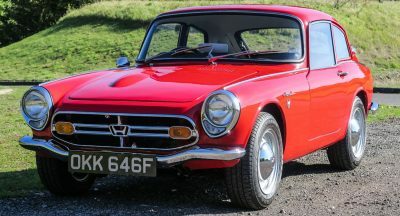 They did a great job on this one. Looks great, but that orange peel is just wtf. 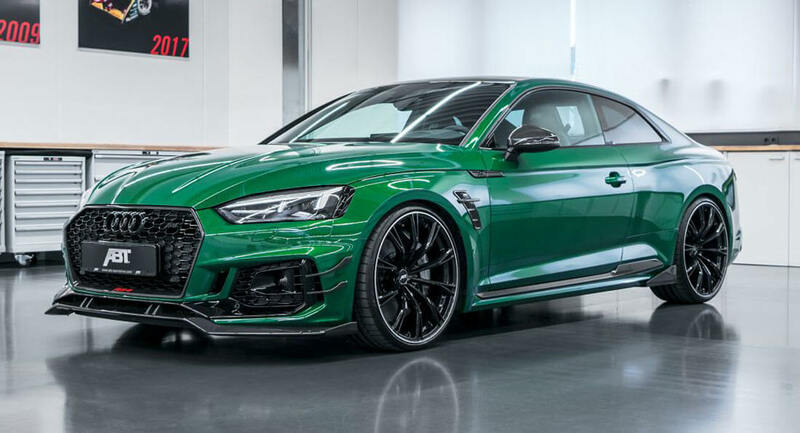 Another good looking Audi in green. Green has to be their color. It just seems to work well with their designs.